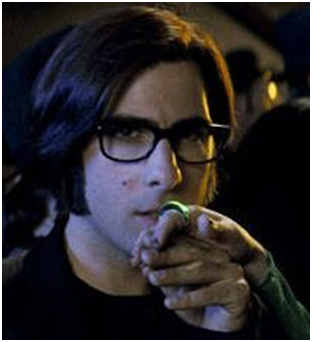 Jason Schwartzman wears the simple yet fashionable Ray Bans in the movie Scott Pilgrim vs The World. These are relatively simple with transparent lenses which give Jason a peculiar geeky look. Jason sports the shiny black frame version and looks dapper in a suit and the specs!